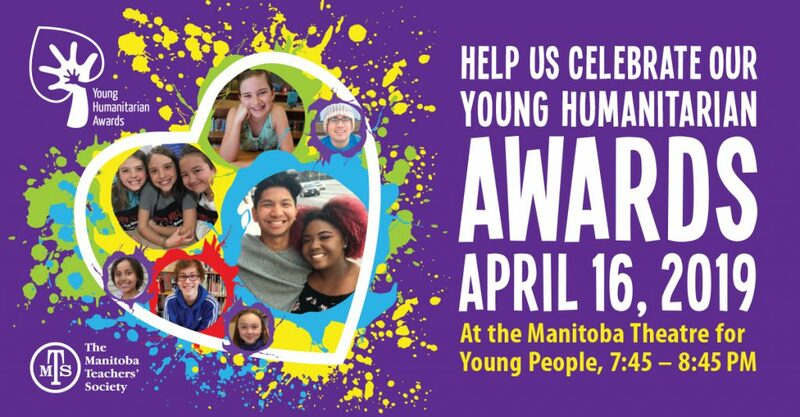 Courage, compassion and humility will be in the spotlight next Tuesday, April 16th (7:45 p.m.) at the Manitoba Theatre for Young People as the 22nd annual MTS Young Humanitarian Awards show highlights four public school students from Louis Riel, Borderland and Sunrise school divisions. When Minnetonka Kindergarten student Gwen Eckstein saw a TV commercial on CNN about the plight of refugees, she said, “Mommy, we have to help those kids on the commercial.” Gwen quickly hatched a plan to fill the family car with food, building supplies and police (to protect refugees from the bad guys) and drive to their countries. Her mom helped her come up with something more practical – painting and selling ornaments to hang on trees. Hundreds of ornaments were decorated raising $3,000 for IRCOM, the Immigrant and Refugee Community Organization of Manitoba. Wanting to help local refugee children is a natural part of Gwen’s lovely humanitarian spirit. Grade 7 student Lexi Taylor has been working on two big passions. The École Dugald School student started “A Little Bit of Warm” with some birthday money and an intense desire to help people experiencing homelessness. Lexi makes and distributes bags containing new toques and mitts, hot chocolate and candy canes to help keep people warm. At about the same time, Lexi started volunteering with Got Bannock, an organization that had been making meals twice a month then sharing them with people in the area of Main and Dufferin Avenue. Lexi’s three-year devotion to both of these causes has been nothing short of remarkable. Reese Estwick, a Grade 12 student from W.C. Miller Collegiate in Altona, recently returned from Ottawa where she participated in the Forum for Young Canadians. Reese has always been an ally to those who are marginalized. She began high school making herself extremely vulnerable by starting a Gay-Straight Alliance at her school. She and her friend poured countless hours into creation of the GSA as well as all the meetings, activities and discussions associated with it. Reese wanted to make sure the group was built with best practices in mind. Despite the backlash she and her friend faced in the community, Reese continues to stand up to injustice, regardless of where it comes from and what form it takes. Janine Brown, a Grade 12 student at Collège Béliveau, is a proud humanitarian and a strong promoter of human rights. She’s been an interpreter for the Anne Frank Exhibit, a ground floor organizer of the school’s “I Have to Be Me” GSA – she came out in Grade 9 – and an outspoken advocate for reconciliation and Indigenous rights. She’s equally at ease with planting trees along the Bishop Grandin Garden Greenway as with filling out funding applications for projects. She has taught survival skills to Scouts, been a Youth Pride Marshall, received a United Way Community Leadership award, and was the 2018 Youth Volunteer of the Year for the Manitoba Association of Rights and Liberties (MARL). You can find Janine’s spoken word poetry on her YouTube channel. Celebrating 22 years of honouring inspiring students! 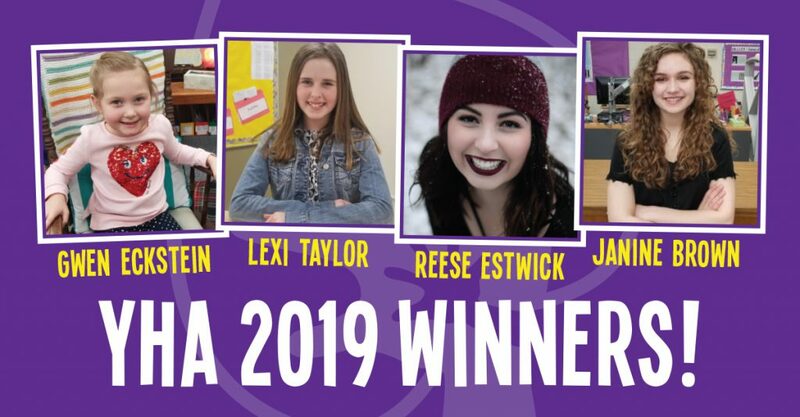 Help us celebrate four public school students from across Manitoba who’ll share the spotlight as they receive their prestigious MTS Young Humanitarian Awards. 103.1 Virgin Radio’s Ace Burpee is back to emcee this year’s YHA night. Featured performers are Tec Voc High School’s high-energy Dance Tec Company (DTC) – and the O Canada Ensemble, who’ll sing the national anthem in five languages. Join us at the Manitoba Theatre for Young People, The Forks, on Tuesday, April 16, 2019, 7:45 – 8:45 PM. Free admission and refreshments.